“Mum’s the Word: Medicine for the Fall Garden — Inside or Out” will be the topic at the Satellites Auxiliary’s luncheon Tuesday, Oct. 2. 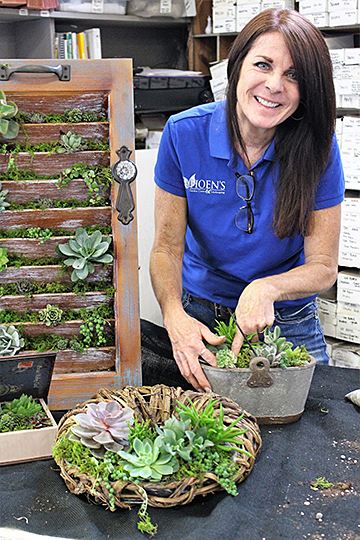 The talk will be given by Theresa Hoen, master gardener from Hoen’s Garden Center and Landscaping in Holland, Ohio. “Theresa is an excellent speaker and will bring hands-on items and her fall know-how tidbits,” Lynn Band, president of the Satellites, said. The luncheon will be held at noon in Collier Building Room 1050. Those who attend may bring their own lunches to the free event, or they may pay $7 — $5 for students — for a box lunch that will include a beverage and specialty dessert. Cash or check payable to the Satellites Auxiliary will be accepted. Complimentary valet service will be available for the event. Those who attend are asked to bring a stuffed animal for pediatric patients at UT Medical Center. RSVPs are requested by Sunday, Sept. 30. Call Ray or Donna Darr at 419.382.0054; Carol Okenka at 419.654.5326; or Mary Jane Kill at 419.381.1425. This entry was posted on Wednesday, September 26th, 2018 at 3:23 am and is filed under Events, UTMC, UToday .